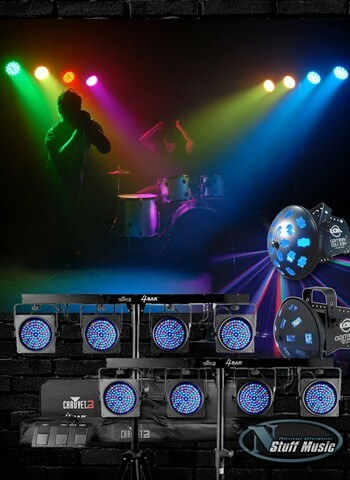 The N Stuff Band Lighting Package 1 consists of 2 - Chauvet 4-BarUSB systems. 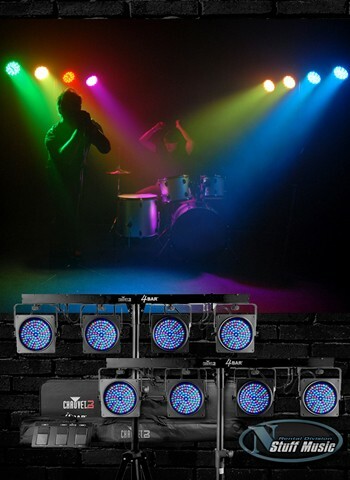 The Chauvet 4- BarUSB is a simple lighting system for a small to medium band setting. It does a great job as a single-, or multi-color wash solution. Each 4-Bar can be controlled by wireless foot switch (included), DMX or can be set to be sound activated. They can also be linked together for parallel operation.